Established in 1998 G-Tech offers extensive expertise in providing products and services to the petroleum sector in Australia and throughout the Pacific Islands. G-Tech has offices in Sydney and Brisbane and is a 100% wholly owned Australian company. G-Tech is proud to be the Australian distributor for the NUPIGECO range of products including SMARTFLEX, SMARTCONDUIT, EloFIT, EloPRESS and OILTECH servicing the Petroleum, Plumbing and Upstream Oil & Gas sectors. 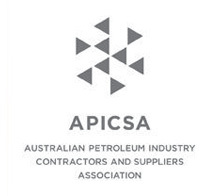 G-Tech is a member of the Australian Petroleum Industry Contractors and Suppliers Association and a member of the Petroleum Equipment Institute. G-Tech uses 128 bit SSL Encryption. All prices, fees and charges are in Australian Dollars.